I am in love with this passage. In Proverbs 4, today Solomon is remembering his childhood. Do you remember who Solomon’s father was? King David. I love David. He’s remembered a lot for his adultery with Bathsheba and surely that was not wise, but there was much more to David that was wise. God himself said he was a man after His own heart. In these verses, you see Solomon speaking fondly of learning wisdom from King David, and then Solomon passing his wisdom on to his children. 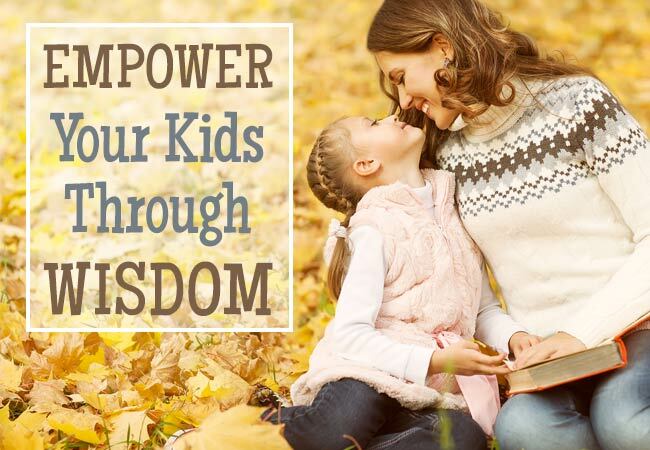 The very wisest thing we can do as parents is teach our kids any ounce of wisdom we have. It’s harder for us to learn new ways and habits as adults, but our children’s minds are malleable and so receptive to our teachings. When we teach them wisdom at this age, it becomes a part of who they are instead of something they need to learn later. Even if your parents did not provide that for you, God through his Holy Spirit can teach you these wise things and show you how to pass them on and make a new path for your family. I’m praying it be so.